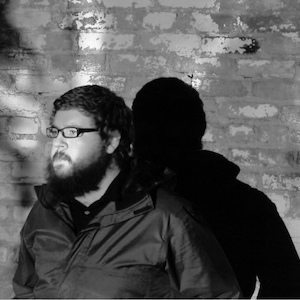 Dave Watkins is an audio/visual artist living in Richmond, Virginia. He has focused his studies primarily on music and the performing arts, graduating from Virginia Commonwealth University with a BFA in Theatrical Design and Technology. As a musician, he has performed all around the country, coaxing any number of sounds out of an electric dulcitar he designed and built, in conjunction with assorted effects and loop pedals, and sometimes augments his performances with live sound reactive video projections. He has shared stages with artists such as William Tyler, Sir Richard Bishop, Dan Deacon, Tim Barry, Des Ark, and Christopher Tignor. Watkins has also engineered and produced albums for other Richmond artists such as Dumb Waiter, Night Idea, and Lobo Marino in addition to his own solo work. As a multimedia artist, Watkins has mainly experimented with interactive art, most notably having created a motion controlled video installation for Gallery5’s 10 year anniversary in 2015, and collaborating with Nelly Kate in 2012 to produce Interstitial Transduction, an interactive audio/visual installation that earned the people’s choice award at 1708 Gallery’s InLight festival. Watkins currently works for Richmond Ballet as A/V supervisor, where he oversees all of the audio and video needs for the company and occasionally composes music by doing sound and projection design for the company’s new works.